One of the most frustrating statements for employees to hear from their managers is this: “HR wouldn’t let me do it and I don’t really know why.” And unfortunately, when it comes to pay, many managers either aren’t accountable or don’t understand how pay was determined. Managers are generally faced with playing a dual role in organizations. They are employee advocates because they’re expected to support and develop the members of their team, but they are also agents of the organization since they are responsible for communicating information to employees and are required to toe the line — whether or not they had input into key decisions or agree with them. This can be an awkward situation for managers, since the message is: be friendly but don’t be friends. It’s increasingly difficult when managers are faced with having sensitive conversations related to pay with employees. How a manger talks about pay is crucial. It can make the difference between an employee who feels valued at the organization and wants to go the extra mile and one who is feels overlooked and is disengaged with their work. Yet, we often don’t give managers enough control over compensation for their employees or spend much time teaching them how to have effective conversations around pay. Talking about pay is important because it establishes the groundwork for a trusting relationship. Although compensation is arguably the most critical conversation for a manager to get right, it was the least frequent training topic. Understanding exactly how pay for an employee is determined can be difficult (i.e. how was the market data interpreted? How are the pay ranges determined? How did you determine where the employee fits within their range? How was performance, responsibility and tenure factored in?) 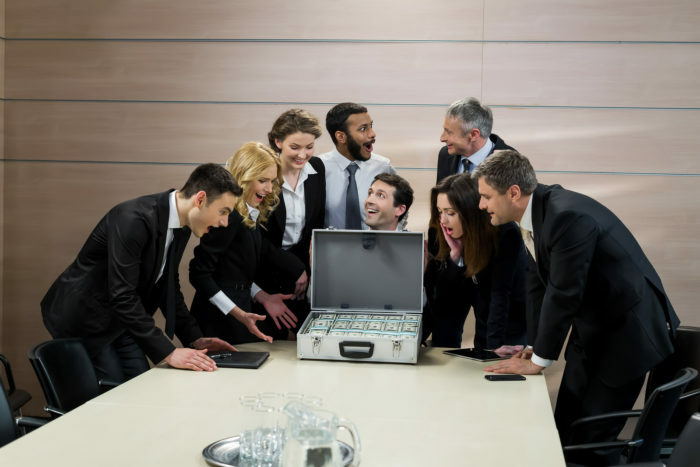 Providing managers with knowledge of compensation basics is critical to the success of their conversation because it’s difficult to convincingly communicate information that a manager doesn’t fully understand. Managers also need step-by-step guidance to have specific compensation conversations with their employees. This requires a partnership between managers and HR teams as well as a mutual understanding about the degree of transparency around pay at the organization. It can be very daunting for managers to have more open conversations about pay because they don’t have experience fielding questions that are often highly emotionally related to an employee’s feelings of being valued and appreciated. Let’s face it, talking about pay can be a scary proposition. For conflict-averse managers, it’s especially daunting because it’s hard to anticipate how an employee will react. Even good news can turn sideways in a conversation about pay when not delivered the right way. So, the first time a manager has a tricky compensation conversation, it’s best if it isn’t live with an employee. Rather, HR should gather managers in groups to practice these conversations and encourage more seasoned managers to share what really works and what does not. As I’ve mentioned, managers are in a tough spot as both advocates for employees and agents of the company. The process of fostering more transparency between managers and employees works best when these managers have a seat at the table at the onset and work together with HR to determine compensation. Once companies decide to prioritize conversations around pay and invest in the right training, managers can effectively drive better, more trusting relationships with their employees. With the right partnerships, commitment and training, organizations can turn “HR wouldn’t let me” into “I decided to do this and here’s why.” And that conversation feels a lot better to employees. Mykkah Herner is the modern compensation evangelist at PayScale. He has over a decade of experience developing strategic compensation programs for more than 400 companies to ensure they attract and retain the right talent. Mykkah specializes in linking performance with compensation in order to drive better business results.